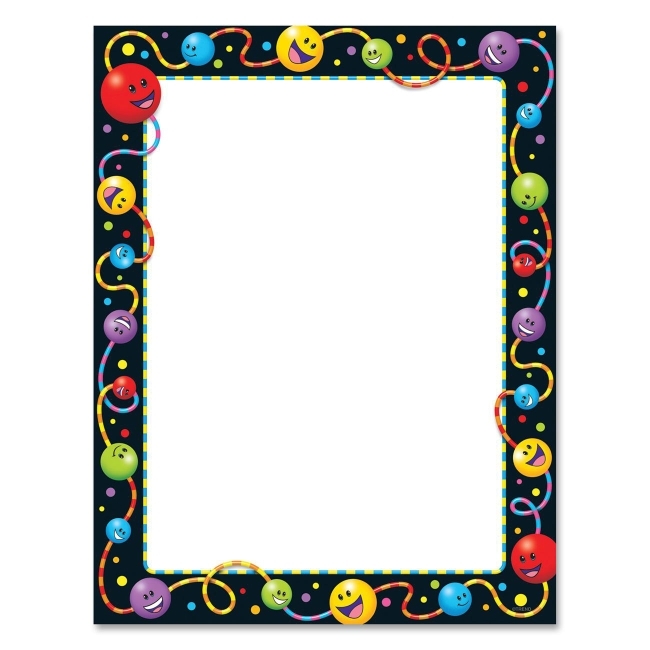 Add style and cheer to everyday notes, letters, and lists with this letter-size paper with the popular Alpha-Bead Buddies border. 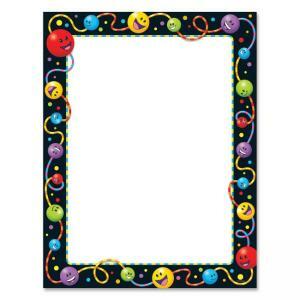 Colorful, smiling globes on a colorful thread line the edges with a black background. The printable area of the paper is white. Use the paper to carry out your classroom design theme for student writing projects, signs, newsletters, announcements, and fun awards. Alpha-Bead Buddies Terrific Papers are acid-free and printer-ready. The theme is designed for teaching students in pre-kindergarten through 12th-grade and ages 3 to 15.